Kat Barry is an experience real estate broker who has been in the business for over 15 years. 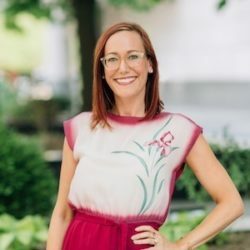 Since Chicago is her home, it is her in-depth knowledge and experience of the Chicago area that has allowed her to really connect with her clients and build strong relationships that go beyond their real estate needs. Kat knows that listings just don’t fall into your lap you need to work hard and market yourself to your farm area. Kat was looking for a solution to narrow her focus since the Chicago is so large. She wanted to be able to maximize her proactive efforts more efficiently and SmartTargeting has assisted her with knowing who she should focus on. Kat understands how important constant follow up and prospecting is. Kat has been an adopter of the CheckIn App which allows her to access her SmartTargeting account, while she is away from her desk. The CheckIn app is a follow up tool that incorporates predictive CRM technology. She can immediately track when she makes contact with a prospect by door knocking or dropping something at their door. The CheckIn app reminds Kat of who needs follow up each day, so nothing slips through the cracks. Kat makes sure to constantly follow up with her clients, putting them into various drip campaigns to ensure they are continuously seeing her branding. She is also diligent in making sure to set reminders for herself for when is the next time she should give them a call. For her absentee homeowners, she makes sure to send them current articles to keep them updated about market trends. She isn’t mailing them a sales pitch she is simply giving them helpful information to bring value back to herself as a realtor. Her efforts paired with the tools SmartTargeting has provided has allowed Kat to find continuous success. SmartTargeting has been able to focus Kat’s proactive efforts to make her more efficient. The CheckIn app works as a productive CRM for her farm, allowing her to keep track of her follow up efforts. Having been a SmartTargeting client for just over two years Kat has closed eight listings and is excited to see what success her third year will bring.